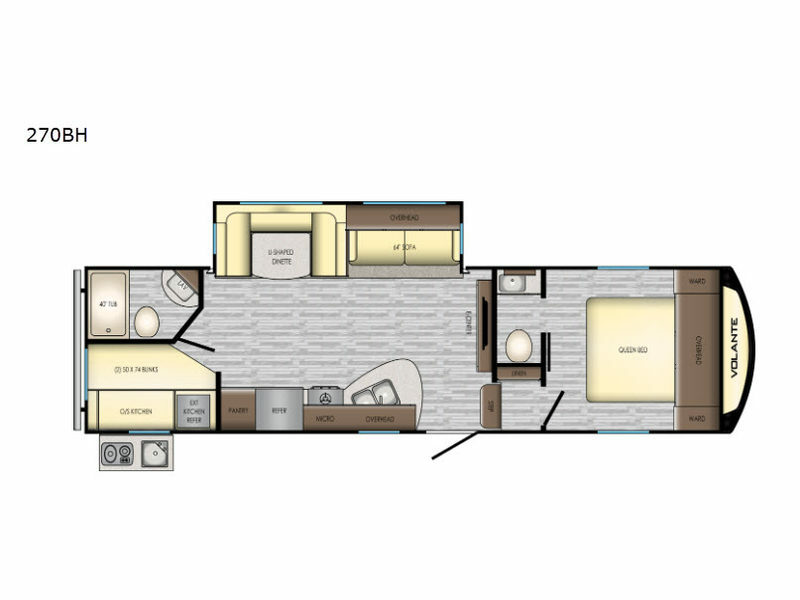 For the experienced family who enjoys camping as a large group, choose this Volante fifth wheel by CrossRoads RV. With enough space to sleep ten people, you will find that there is plenty of room throughout this model. 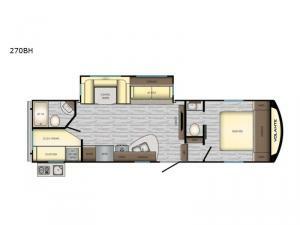 The rear set of double bunk beds, U-shaped dinette, 64" sofa, and queen-size bed in the private master suite are what give this model its impressive sleeping capacity, and the outdoor kitchen gives you more time to spend with your family and friends since you can prepare dinner while partying with everyone else outside.